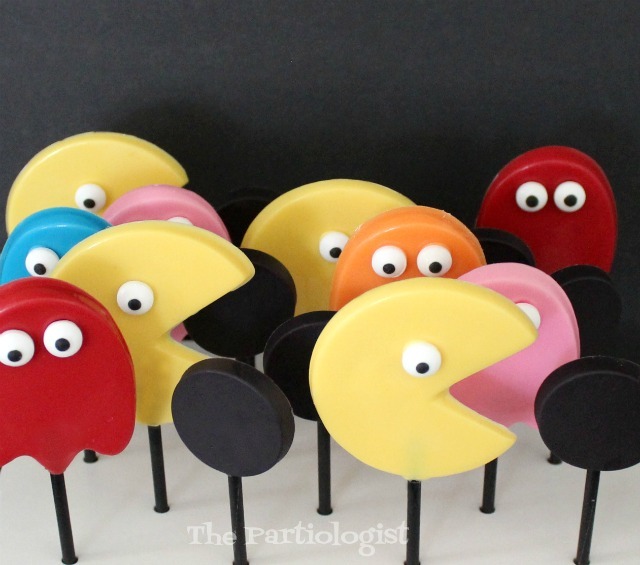 The Partiologist: Pac Man Chocolate Lollipops! Every year I'm excited to find out the theme for two special little girls birthday. I've been making cookies and all other kinds of sweets for their parties for many years, and the tradition continues with this year's theme being the 80's. Originally, I was going to make cookies saying "I 💗 80's", then I see photos from the 80's and my permed hair. Ummm, no. 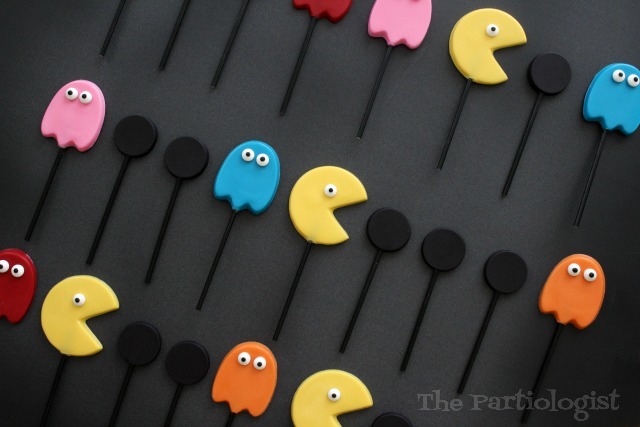 The next thing that came to mind was Pac Man. 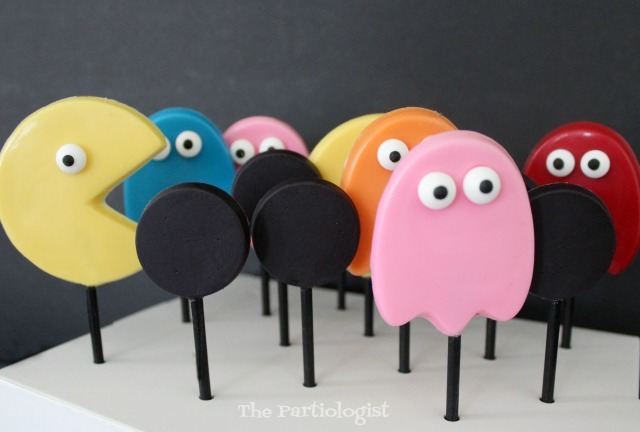 And with the mold, Pac Man was recreated! I remember my girls loving this game. So it was great fun to recreate in the form of sweets. Come to find out, they are called ghosts...not little girl people. Those are not dresses they're wearing. Anyway, I thought they turned out pretty cute. 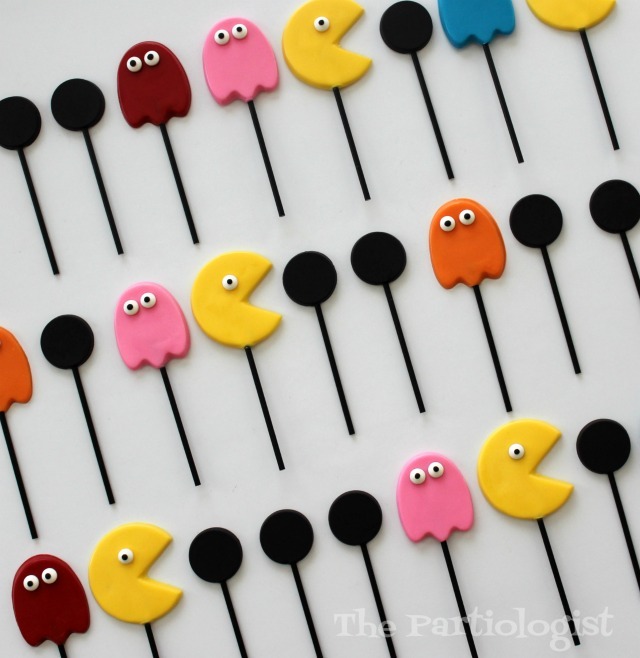 Of course they were made with a chocolate mold, Wilton candy melts and black treat sticks. After they were made I boxed them up, now they're ready to go. 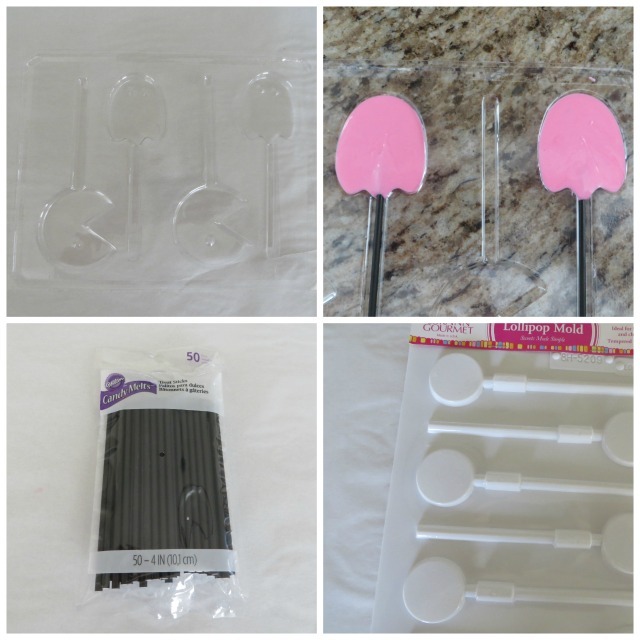 Cake Pops Boxes from BRP HERE. 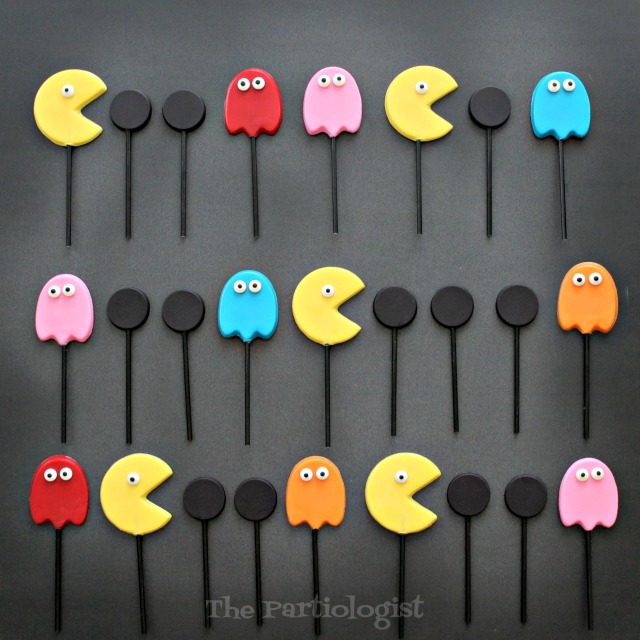 Everyone loves an edible Pac Man game! 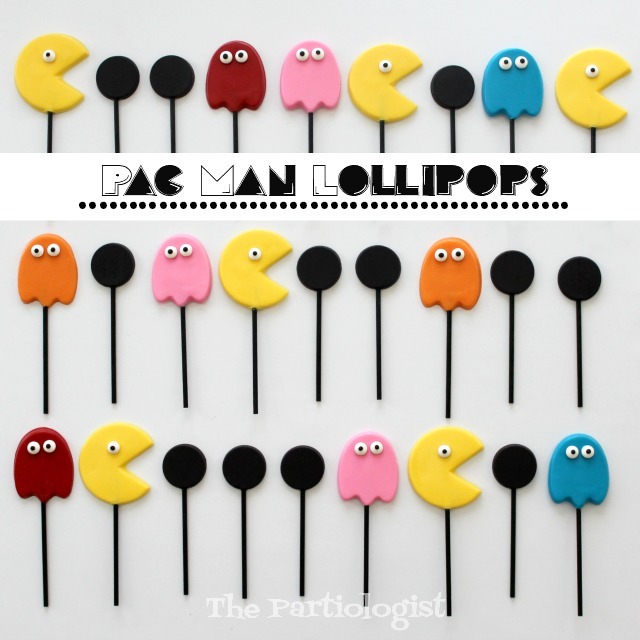 More Pac Man Sweets coming soon. These totally remind me of the 80's! They are so much fun. Thanks Beth, the little girls may not remember, but I think they'll like them! YOU MAKE SUCH WONDERFUL FUN THINGS!!! I WILL SAY (PROBABLY JUST MY AGE SHOWING) THAT THESE ARE SOME OF MY VERY FAVORITE..EVER! You're so funny, they were some of the easiest treats ever! Thanks! !